A seminar with Dr. George is a must for anyone with a private practice. I was amazed at how much potential exists by harnessing the marketing power of the internet. Dr. George helps understand and implement an internet marketing strategy. He includes specific recommendations with websites, links and apps that will maximize return and minimize costs. 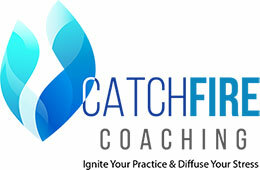 In some cases Catchfire teaches simple tools to utilize the Internet for free practice marketing. His techniques even allowed me to see how my successful competitors are making the best use of their advertising budgets. Definitely an investment well spent.